Season 3, Episode 3, Dr. Bubbs sits down with renowned basketball coach Roy Rana, the first coach to guide Canada Basketball to a gold medal at the U19 basketball World Championship in Egypt in 2017. 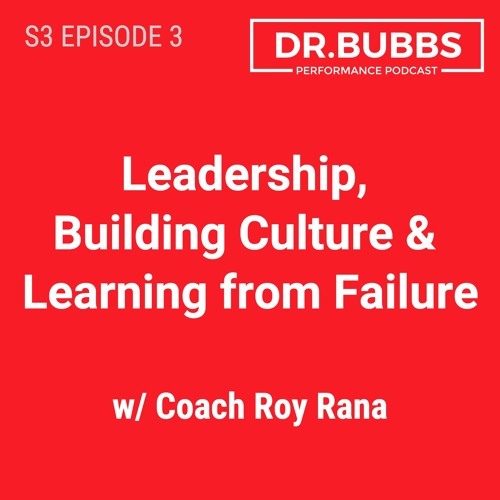 In this episode, coach Roy talks about performing under intense pressure, the major lessons he’s learned through failure, he defines what he believes “culture” truly is and what goes into building a successful culture. He also talks about building team chemistry in a short time frame, how sport science has impacted his coaching, the mentors who’ve influenced him throughout his career and why he does what he does. Tremendous insights here from one of the best.